“Pilates Fit” adds a “Fatloss” and “Fitness” component to the excellent benefits of Pilates. 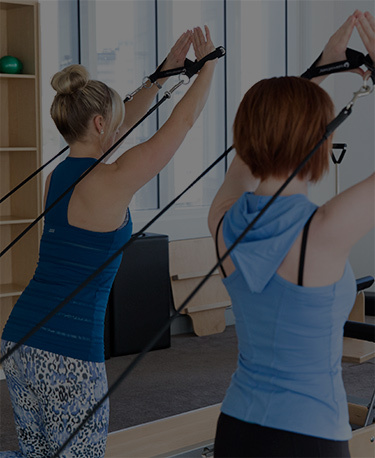 The core intentions of Pilates, via specific Pilates Mat and Equipment repertoire, are combined with whole of body functional strength work, at various intensity levels. Progressions and regressions are undertaken in small group circuit formats. This way we accommodate the needs and abilities of a variety of clients with varying fitness and strength levels. A maximum ratio of 10 clients per instructor, guarantees an excellent degree of attention to individual client technique, as well as a great social energy, only achieved in small group sessions like this.